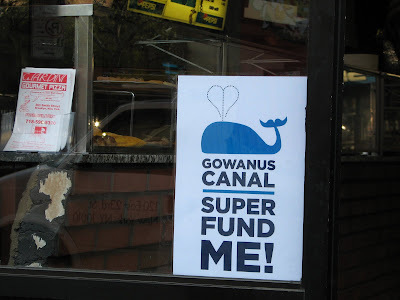 Signs are sprouting up in the neighborhood and now there is a website as well, calling on the EPA, local officials and residents to support the Superfund designation of the Gowanus Canal. As I've stated before: either the canal qualifies or it doesn't. If it does, we can't pretend that it doesn't and try to shove the genie back in the bottle. Like it or not (and there certainly has been some organized opposition to designation) the state DEC completely changed the equation when they requested Superfund designation for the canal. We need to listen to what the scientific experts have to say and then clean up the canal to the fullest extent possible. From what I've heard, bringing in the EPA is the most effective way to make this happen. I am hopeful that this administration will put federal dollars into cleaning up polluted sites as a stimulus measure and as good environmental policy. $600 million has already been committed to the Superfund, and I will wager there is more to come. Whatever happens, cleaning up the canal is long past due. In addition to remediating the site, we need to make some serious investments in sewer infrastructure to eliminate the CSO issue going forward. New York is an old city, and much of our sewer infrastructure predates modern standards (like separate sanitary and storm sewers). It's past time that the Federal government committed additional resources to upgrading these antiquated sewers that dump raw feces into our waterways every time it rains. The EPA has been giving NYC DEP a pass on CSO discharges under a consent decree established several years ago. It's time to stop giving us a pass and give us the resources to clean up our waste. The good news is, the Obama administration actually believes in governing, providing basic services, and cleaning up the environment . . . so fixing our sewage problem is a distinct possibility. It should be a beautiful day . . . sounds like a nice way to unwind after the CORD/SoBNA "Dazzle Me" Forum at the Brooklyn Library branch at Union and Clinton Streets. All of the Democratic candidates for the 39th Council District (including yours truly) plus the Green candidate will be there. The Forum starts at 10:30. 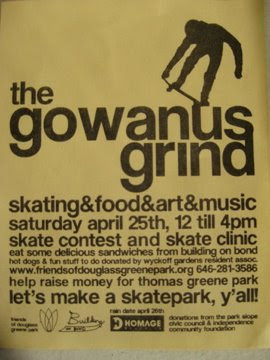 The Gowanus Grind, a completely separate event, is sponsored by Friends of Douglass Greene Park. The CHA is not just about politics. We are also trying to build community and draw young people and new arrivlas into the mix. With those goals in mind, we are launching a new monthly series of bar nights called the Cobble Hill Neighborhood Happy Hour. We hope you will come out and help us launch this new initiative by having a drink with your neighbors. Who are they? Now you can find out. WHEN: Wednesday, April 22, 2009, 6 to 9 p.m.
Come on over and meet your neighbors! Cobble Hill residents get $4 pints and well drinks, and buckets of Miller High Life for $15. Sounds like fun. I will try to squeeze in an early appearance before a meeting. I get some interesting PR pieces from time to time . . . this one shouts out for attention. The people behind Rooftop Films (and what a great idea - taking a page from the Beatles) are also promoting a comedy show in the Gowanus next Thursday 4/23. Sadly for me, I've already got two campaign related events that night - but hopefully some of you can check it out and report back. I do love live comedy. Found In Brooklyn has a useful summary of last night's festivities for those who could not make it. At least one person has benefitted from a lack of F Express service: Peter V. Brett of Kensington, Brooklyn, has used his commute on the F train to write a 400 page novel. 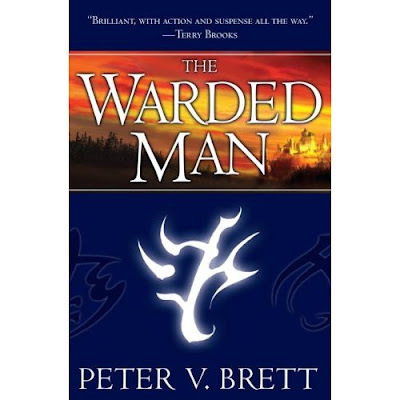 The Warded Man, a fantasy epic featuring humans battling demons, is Brett's first novel. Anyway, the article quotes Brett saying, "It's really sad to say my muse lives on the F train, but it may come to that." Brett, you've got 4-5 more years before we can bring back the express service, but don't worry - you can always take the local. Second Avenue Sagas blogged about this nearly two years ago and I linked to the story back then (as well as lifting this rendering just now). This would be a major improvement for Brooklynites bound for the East Side. This may not be on MTA Capital Construction's Major Projects list, but projects like this have a tremendous improvement on quality of life . . . a few minutes a day for hundreds or thousands of people adds up to a lot more happiness in the world. The thrust of the Daily News article today is on the temporary inconvenience to area merchants, but that shouldn't overshadow the ongoing benefit the riders will see from this connection. This week, Obama will unveil his vision for high-speed rail in the United States after unexpectedly adding $8 billion to the economic stimulus package for high-speed train travel -- the biggest commitment of its kind ever made by the federal government. America is miles behind. In Japan, the bullet train can wisk passengers from one city to the next at nearly 200 miles an hour. It's the same on France's TGV train, where passengers can get from Paris to Lyon in a little less than two hours. A dozen countries around the world enjoy high-speed rail, but America is not one of them. I'm excited about the prospects. Anyone who's used high speed rail in Europe or Asia can attest, it would be a tremendous boon to short and medium haul intercity travel. Clearly you're not going to hop a supertrain for a regular bicoastal commute, but by stringing together regional high-speed networks we could significantly reduce air and auto traffic and improve air quality . . . while making these trips more pleasant. Toll Brothers has hired the Geto/Demilly PR firm to campaign against the possible Superfund designation of the Gowanus Canal. Something to consider when you are reading (or writing!) press reports. I somehow missed this article in the New York Times last week on a new Monday night gay/lesbian themed party at South Brooklyn Pizza (just south of PJ Hanley's on Court at 4th Place). With the upcoming drastic MTA fare hikes and service cuts, this could help the local gay community save a few bucks and some aggravation commuting into Manhattan (yes, I can and will link any topic to transit). Julio Vincent Gambuto, neighborhood resident quoted in the article forwarded the story to my attention and added: "The "Fondle" gay night has been going for a few weeks now and is a great addition to the neighborhood...especially for the gay Italians in this old-meets-new slice of Brooklyn." According to the Times, Gambuto is also "the star of 'Julie From Staten Island,' a one-man Off Broadway show about being gay in a traditional Italian-American community." Next show is Saturday, April 25th. Others shared that liberal idea. “To each his own,” said Michael Rosario, who works next door to the restaurant. EPA personnel will be on hand to explain the Superfund program and nomination process. Oh, I predict a packed house for this one. (New York, N.Y.—Apr. 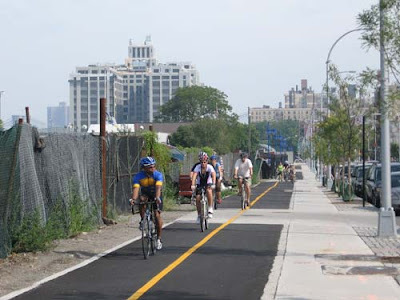 8, 2009) – Thanks to U.S. Environmental Protection Agency’s (EPA) proposal to add Brooklyn’s Gowanus Canal to the Agency’s Superfund National Priorities List (NPL), the waterway will once again become an asset to local residents. The proposed listing would allow the Agency to further investigate contamination at the site and develop an approach to address this contamination. The Gowanus Canal is severely impacted by contaminated sediments as a result of its history hosting heavy industry. EPA is asking for public input on its proposal to list the Gowanus Canal. The canal was built in the 19th century to allow industrial access into Gowanus Bay. After its completion in the 1860s, the canal became a busy industrial waterway, acting as the home to heavy industries, including manufactured gas plants, coal yards, concrete-mixing facilities, tanneries, chemical plants, and oil refineries. It was also the repository of untreated industrial wastes, raw sewage and runoff. Although most of the industrial activity along the canal has stopped, high contaminant levels remain in the sediments. The extent of the contamination traverses the length of the canal. Sampling has shown the sediments in the Gowanus Canal to be contaminated with a variety of pollutants, including pesticides, polychlorinated biphenyls (PCBs), metals and volatile organic contaminants (VOCs), and significant contamination associated with coal tar. With the proposal of this site to the NPL, a 60-day comment period will begin during which EPA solicits public input regarding this action. For instructions to submit comments go to http://www.epa.gov/superfund/sites/npl/pubcom.htm or contact Dennis Munhall, Region 2 NPL Coordinator at (212) 637-4343 or munhall.dennis@epa.gov. Once the site is placed on the NPL, EPA will expand its investigations to further define the nature and extent of contamination. To date, there have been 1,596 sites listed on the NPL. Of these sites, 332 have been deleted resulted in 1,264 sites currently on the NPL. There are now 67 proposed sites awaiting final agency action. There are a total of 1,332 final and proposed sites around the country. To find out more about the NPL Site Listing Process, visit: http://www.epa.gov/superfund/sites/npl/npl_hrs.htm. For a Google Earth aerial view of the Gowanus Canal: http://www.epa.gov/region2/kml/gowanus_creek_and_gowanus_canal.kmz. (Please note that you must have Google Earth installed on your computer to view the map. To download Google Earth, visit http://earth.google.com/download-earth.html). Second Avenue Sagas has the breakdown. 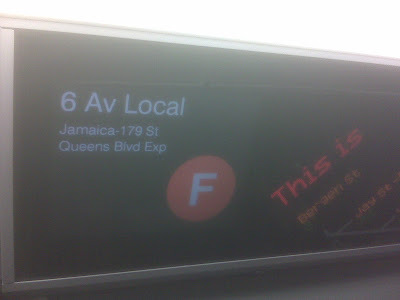 For anxious Carroll Gardens residents: Fare hike happens May 31st; the B75 sleeps with the fishes June 28 . . . . if the Senate Republicans and the Fare Hike Four (or six, or whatever it is today) don't knuckle down, face reality, and enact the Ravitch Commission Plan or similar. I've said in other places, the Ravitch Plan could be tweaked slightly by applying the payroll tax to employees, rather than employers. Every economist will tell you, the employees will bear the cost either way . . . this does, however, eliminate the "anti-business!!1!" disingenuous rhetoric from opponents of the plan. I understand many drivers do not want to pay tolls on the bridges. But the reality is we need the revenue from those tolls. And tolling the bridges will reduce traffic through our residential neighborhoods, giving us safer streets, by eliminating the perverse incentives for commuters to avoid tolled crossings like the Batrtery Tunnel in favor of "free" routes like the Brooklyn Bridge. The big item on tonight's agenda is a forum for elected officials and their representatives to hear from you on the MTA funding crisis and Albany's inaction. The Ravitch Commission set forth a clear roadmap, including bridge tolls, to avert the catastrophic fare hikes and service cuts that WILL take place if we don't act. But our elected officials need to hear our voices on this. What do you think of $3 subway fares and drastic bus service cuts? Come to CGNA tonight. A memorial gathering to honor the memory of Robert Guskind will be held from 2 pm to 5 pm Saturday, April 4 at the Brooklyn Lyceum, 4th Avenue between Union and President Streets in Park Slope. Senator Daniel Squadron and Assemblymember Joan Millman have sponsored a resolution to honor the life and work of Gowanus Lounge founder Bob Guskind. Please try to arrive around 2 pm. There will be an opportunity to get seats and get refreshments before the program starts. Also, the program will not last until 5 pm, so there will be an opportunity for those attending to talk informally. If you’d like to make donations in Bob’s memory, four charities have been designated. Thanks to the many people volunteering their time and donating goods and services. Thanks to Juventino Avila at Get Fresh Table and Market in Park Slope and Rafael Soler of the Red Hook Vendors for generously donating food. 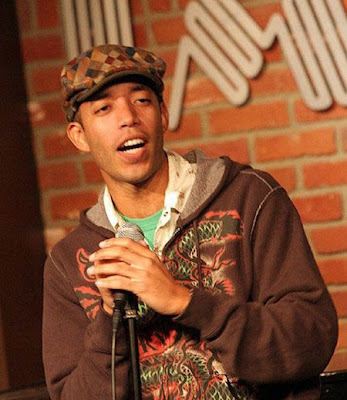 Thanks to Eric Richmond of the Brooklyn Lyceum for generously donating the space. Gary here. Bob was an inspiration to me and many others, and he did a tremendous service to Brooklyn. His legacy deserved to be officially recognized - this was a classy move by Squadron and Millman. Last week, New York City Transit rolled out some new rolling stock along the F line. Riders from Jamaica to Coney Island-Stillwell Ave. will now enjoy the clean, sterile comfort of the new R160s and the crisp announcements that come along with it. I've ridden a couple of these new trains, and they are a vast improvement over the old ones. Meanwhile, the Daily News reports that the MTA has tested an 11 car train configuration on the F line. "We obviously neither have the capital nor operating funding to implement anything like this in the foreseeable future," NYC Transit President Howard Roberts said. "We are just looking at feasibility for planning purposes," Roberts added. 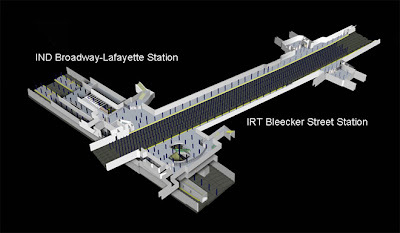 My initial sense is that upgrading the signaling would be a better solution than undergoing construction to extend platforms at multiple stations as would be necessary to run an 11-car configuration. But I'm open to the possibilities if the numbers work out. Lend a hand at BGI’s monthly cleanup along the new Columbia Street section of the greenway. These cleanups are held in cooperation with the Columbia Waterfront Neighborhood Association, in order to keep the newest section of the Brooklyn Waterfront Greenway free of trash and other debris. Tools, trash bags, work gloves provided, but please make sure to dress warmly! BGI is doing great work opening up the waterfront and inland communities to pedestrians and cyclists . . . putting a stretch of green through Brooklyn that makes safe public park space more accessible to all of Brooklyn. Join Mia and I on Saturday as we pitch in to help. This is my favorite type of community service. Photo of Columbia Street stretch of the Greenway from Brownstoner. And in Carroll Gardens no less. While the Claret Group has been notoriously tightlipped about it's plans for the Collection on Court between Union and Sackett, word has leaked that the developer has decided to go all in on the property. 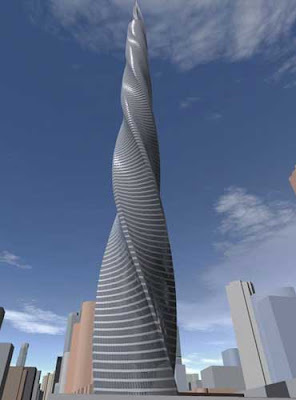 Apparently banking that star power will pull in buyers even in this recessionary market, Claret has hired starchitect Santiago Calatrava to build a scale replica of the spire project that is currently under construction in Chicago. The new design will also come with a new moniker: InSpired by Court. Calatrava himself has reportedly likened the project to the scaled down Statue of Liberty on the Seine River in Paris.